Experts have called for the word ‘cyclist’ to be banned because they believe the term ‘dehumanises’ people who ride bikes. A new study, conducted by researchers at Queensland University of Technology and Monash University, found there was a link between the dehumanisation of cyclists and deliberate acts of aggression directed towards them on the road. NSW and Queensland, found 55 per cent of non-cyclists rated cyclists as ‘not completely human’. She is behind a push to scrap the word ‘cyclist’ and replace it with the term ‘people who ride bikes’. Professor Haworth, who is also the Director of the Centre for Accident Research and Road Safety- Queensland, said it was important for drivers to view cyclists as real people. 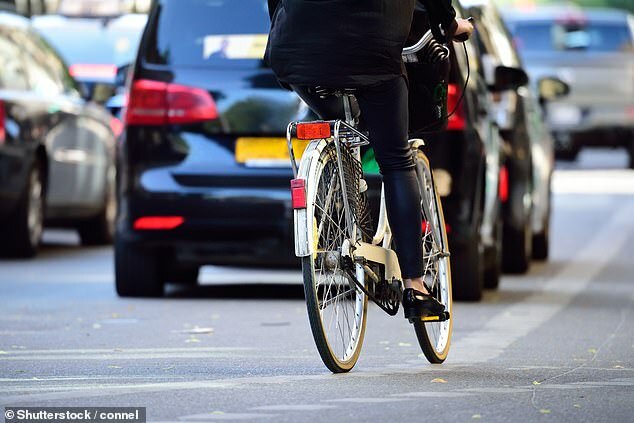 ‘If we used the term people on bikes, instead of cyclists, we’re giving a term that is more human-like and less like a species,’ Professor Haworth told Daily Mail Australia. Professor Haworth said banning the word ‘cyclists’ wasn’t the only solution to change the negative attitudes towards them. ‘Infrastructure is paramount. The best thing would be not to have to share the road,’ she said. The study found that one in five drivers deliberately blocked cyclists on roads, while one in ten admitted to using their car to cut off a cyclist. Participants across different states in Australia completed an online survey for the study. ‘I feel like cyclists are mechanic’ and ‘I feel like cyclists aren’t sophisticated’. For each statement, participants were given an option to agree, disagree or remain neutral on a scale. Participants were also asked about their behaviour towards cyclists, with some admitting they had shouted and thrown things at cyclists.